Munnar; a jewel in the mighty Western Ghats, a heaven in God’s Own Country, a true treasure trove for the visitors, is one of the most stunning and enchanting hill stations in the country. Adorned by the beauty of the rolling hills, evergreen tea plantations, luscious spice gardens, winding trails, and much more, Munnar is one such destination that will fulfil all your dreams and will make your holidays extremely memorable. Be it a family vacation, friends’ outings, corporate getaway, honeymoon, backpacking or any other trails, Munnar always serves as an ideal escapade to all. Jotted with captivating hills and mountains, gurgling rivers and cascading waterfalls, lush plantations and wildlife protected areas, this hill station in the Idukki district of Kerala is a must visit holiday destination for all. Carefully placed amidst the towering hills and mountains of the Western Ghats, Munnar is a year-round tourist destination. No matter what season it is, you can visit this pictorial hill station and feast on its natural charm and appeal. However, with every season, this hilly retreat changes its shade and essence. Let’s have a look on how Munnar changes its colours throughout the year, and when is the ideal time to visit this paradise on earth! 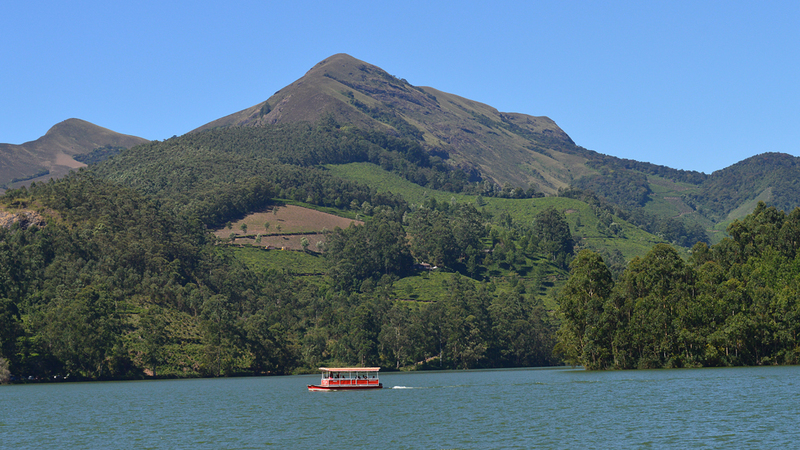 Summers in Munnar are marked by pleasant weather, moderate temperature, or the drop in the mercury level! The atmosphere remains quiet, calm and clearer as compared to other seasons. If you are planning a visit during this period of the year, you should never miss out sightseeing tours, nature trails, plantation visit, and other similar tours. As the summer starts fading, monsoon makes its mark into the locales of Munnar. With its advent, the entire of Munnar gets caressed with a newer and more enticing shade of nature’s green. The ambience gets quieter than before and gets adorned with lush foliage. Along with the crispiness of a hill station, you will get to soak yourself in the aura of Mother Nature as whole of the ambience gets repainted by the nature. 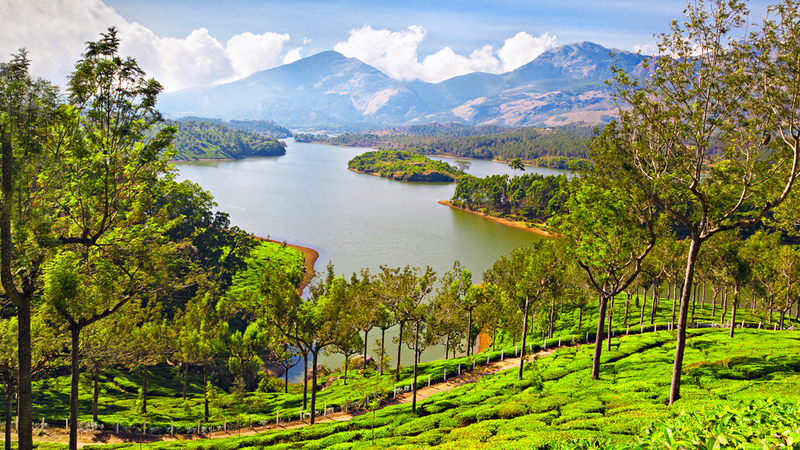 Well, after the monsoons are over, comes the winter or simply the best time to visit Munnar! Pleasant weather accompanied by the tenderness of cold breezes makes the hill station an ideal place to plan honeymoons, family trips and other types of holidays during this season. For the adventure junkies, winter is the call to participate in enthralling activities like trekking, rock-climbing, rappelling, and others alike. Being well-connected with some of the major cities and tourist destinations, Munnar is among the most well-accessible tourist places in Kerala. Whether you opt for flight, train or road journey, you can make it to this gorgeous hill station easily. If you want to explore and discover the meticulous beauty of this stunning hilly retreat, you must opt for a bus journey! 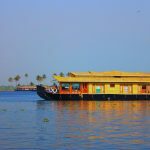 Taking you through the winding terrains through the rolling hills and lush plantation areas, a bus journey will get you closer to the enchanting beauty of this tourist destination in Kerala. 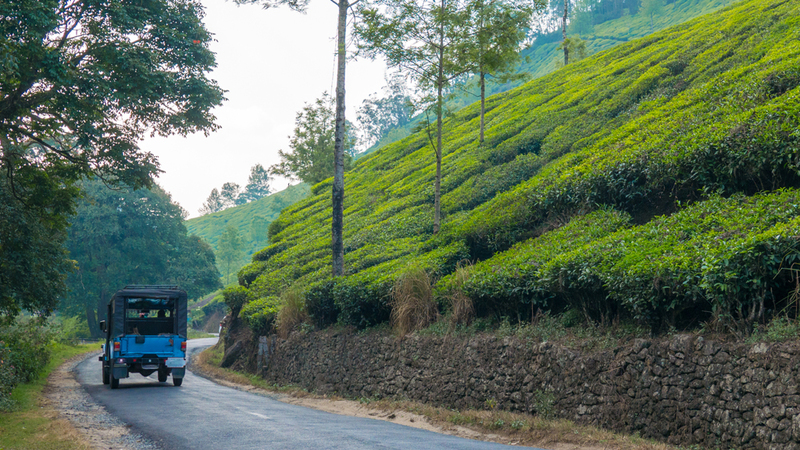 For the bus commuters, they can avail direct buses to Munnar from almost all major cities in South India. Though Munnar do not have any direct access to railway tracks, you can board a train to Aluva; around 110km, Ernakulam; 130km, or Madurai which is around 135km from Munnar. Arriving at any of these stations, you can avail direct buses to your favourite hill station in God’s Own Country. 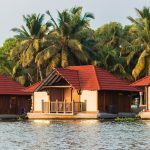 Like any other tourist places in Kerala, Munnar can also be easily reached from Cochin International Airport which is around 110km from the hill station. Madurai International Airport in Tamil Nadu is also among the closest airport to Munnar; distance being 140km. Visit this dam; enjoy some of the most stunning natural views and the rich flora and fauna of Munnar. At 1,700ft, Kundala Lake is one of the most promising artificial lakes in this hill station and and perfect destination to get acquainted with Munnar’s beauty. 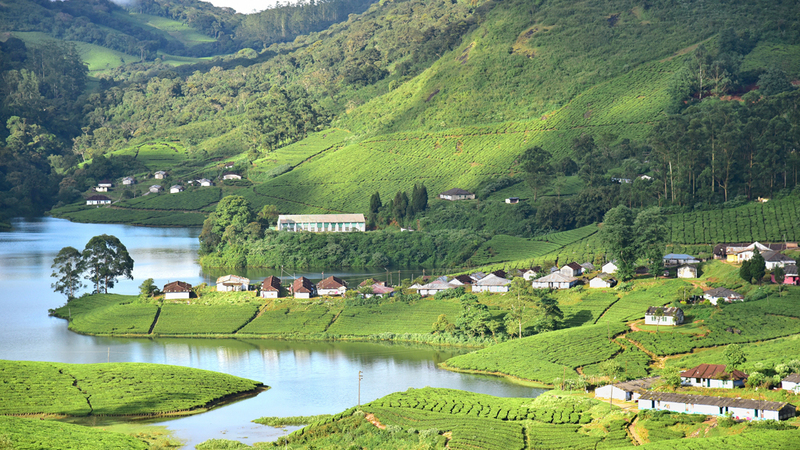 Enjoy the panorama of Munnar, satiate the shutter-bug in you with some of the awe-inspiring clicks of the vicinity. Visit this dairy farm to know more about the roots of agriculture and livestock management in Munnar. Amaze yourself with the mystical beauty and unravel an exciting phenomenon of Mother Nature. 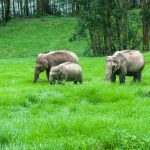 Have a tryst with Munnar’s exotic wildlife! Spot some of the rarest and endangered wildlife species that thrives in this park. Want to know more about the tea culture in Munnar? Visit Tata Tea Museum where you can learn about how tea leaves are plucked, processed and packed. On your visit to Attukad Waterfalls, you will surely be hold captive by its alluring beauty and enticing charm! Flowers bring smile, flowers bring happiness, flowers bring prosperity! Visit Blossom International Park in Munnar, and you will feel the magic of flowers. Reality can overpower dreams, and Lokkam Waterfalls is a perfect natural wonder of Munnar to believe in this! Munnar is a true treasure trove for the nature lovers. Nestled amidst the rolling hills and scenic meadows, it offers some of the most delightful options for the nature lovers to delve deep into the bosom of Mother Nature. Plantation walks, guided walking tours, and waterfall tours are some of the most sought after activities among nature lovers visiting Munnar. For the adrenaline junkies, no other place can pump up their adrenalines like Munnar can! Be it exploring the immaculate beauty of Munnar while mountain biking or discovering the thrill trekking, hiking, rock climbing, and camping, this hill station serves as an ideal adventure destination. Adding more to the list, there are other enthralling options like wildlife spotting, trout fishing and paragliding. 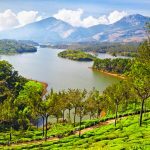 For the leisure seekers, they can embark on sightseeing tours across the scenic locales of Munnar and make their holidays memorable.